It’s that time of year again – Valentine’s Day is just around the corner! Why don’t you make the one you love a cute little Valentine’s card, and I’ve included a matching gift tag just for fun! 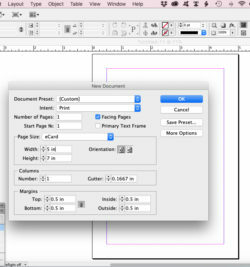 You need a design layout program such as Adobe Indesign, or any of the free layout programs, such as Scribus. 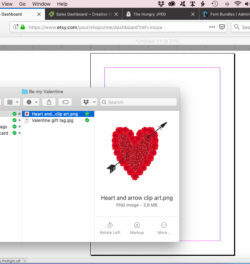 You can even create the card in MS Word, or Adobe Photoshop. This short tutorial is for a 5 X 7-inch card. You can make the card any size you wish, such as 7.5 X 10.5 inches. The clip art you need to create the card (and the gift tag) is contained in this DROPBOX LINK. Firstly, open a new document in the design package of your choice. Make the document 5 inches wide and 7 inches high. 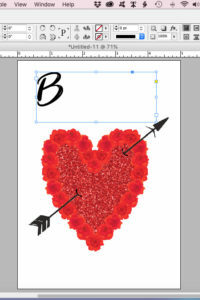 Drag and drop (or copy and paste) the rose heart and arrow clip art and place it slightly below the centre of the card. Resize the clip art as in the example. Leave sufficient space for the text. Remember to check the “auto fit” button in your program so that the proportions remain correct when you resize. Add your text. Most design programs require you to place text within a text box or frame. In this case I created two frames – one for the top text and another for the bottom. Move the text boxes around until you’re happy with the positioning. You can play around with fonts here and be really creative. I’ve used Revolution font, at 100 pt size. 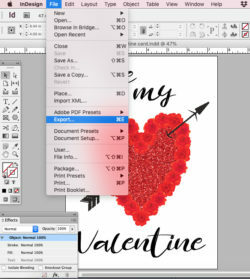 Once you’re happy with the positioning and layout of clip art and text, you should create a PDF from the document that makes printing real easy. Either “export” the document to PDF format, or “save as” a PDF, depending on the software you’re using. Print and trim. You can also export your card (or “save as”) in JPEG format and use it as an eCard (i.e. one that’s digital and not printed). 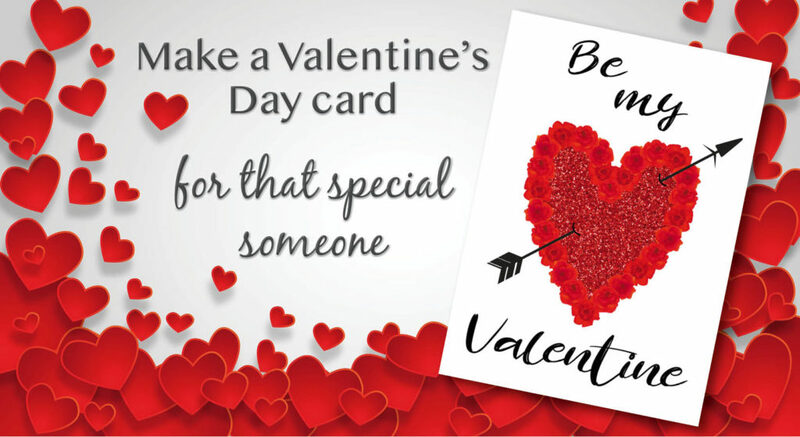 An eCard is handy for sending to the one you love by email or posting on social media. For the gift tag, I’ve done the work for you! The completed tag, ready to print, is included in the download. 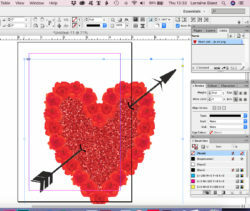 Have fun creating your own Valentine stationery and chat again soon!